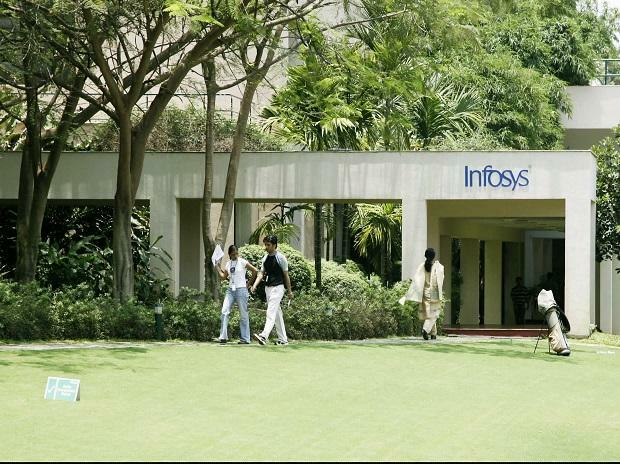 Infosys on Friday posted a 10.4 per cent year-on-year (YoY) rise in its net profit at Rs 4,074 crore for the quarter ended March 2019. On quarter-on-quarter (QoQ) basis, the numbers grew 13 per cent. Revenues for the quarter came in at Rs 21,539 crore, up 19 per cent YoY and 0.6 per cent QoQ. The IT major set FY20 constant currency growth guidance at 7.5-7.9 per cent. It also declared a dividend of Rs 10.50 per share. Operating profit stood at Rs 4,618 crore, growth of 3.3 per cent YoY and a decline of 4.4 per cent on QoQ basis. Basic EPS was Rs 9.37, a growth of 10.4 per cent YoY and 12.9 per cent QoQ. “We have completed the first year of our transformation journey with strong results on multiple dimensions including revenue growth, the performance of our digital portfolio, large deal wins, and client metrics. This is a reflection of our increased client relevance stemming from our focus on digital, positioning, and longstanding client relationships”, said Salil Parekh, CEO and MD. EBIT margin for the recently concluded quarter came in at 21.4 per cent, sharply lower than what analysts had expected. "EBIT margins may decline 30 bps QoQ to 22.3 per cent primarily owing to rupee headwind, transition costs, wage revision for some employees partly offset by reversal of one-time impact of 40 bps, due to Panaya and Skava deals," analysts at ICICI Securities had said in a results preview note. On Friday, Infosys ended at Rs 748 apiece, up nearly a per cent. Results were announced post market hours.